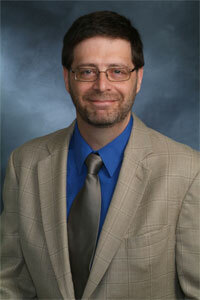 Pastor Mark Erler has been the pastor at St. Mark Lutheran Church in Edmond since March 2, 2003. Originally from West Bend, WI, he has a Bachelor’s degree from the University of Wisconsin in Communications, and an M. Div. from Concordia Seminary in St. Louis, MO. He is married to his best friend Erica, and they have two kids: Christopher and Matthew. Besides preaching the Gospel and sharing the love of Jesus Christ, Pastor Erler has many interests including golf (traditional and disc), movies and fantasy football. Be sure and ask him how the Green Bay Packers are doing when you visit! 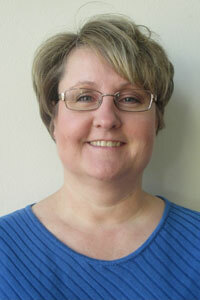 Sheila Rudat serves as the Director of Christian Education and Preschool Director at St. Mark Lutheran since July 2011. She is a graduate of Concordia University –Chicago with a Bachelor of Art degree in Elementary Education and Director of Christian Education. She also has an Associates of Arts degree in Communication. . She has been a DCE for 20 years serving churches in Illinois, Iowa, and Oklahoma. She was born in South Dakota and grew up in California and eventually went to Illinois for college and work. She is married to Todd and has three boys, Tristan, Trevor and Trey. Her favorite things to do are watch movies , read books and spend time with her family. Lisa has been with St. Mark Lutheran Church since August 2015. She was born and grew up in Houston, Texas. Lisa moved to Oklahoma in 1977 where she raised her family in Chickasha until 1999, at which time she moved to New Mexico and then back to Houston to care for her elderly parents. She returns to Oklahoma from a church in Houston, Texas, having worked as administrative assistant for almost 6 years. Lisa has two grown children, and four grandchildren. She loves to read, go to the movies, watch OU football and the Houston Texans, and play with her grandchildren.